Many people are rightfully so skeptical about many things right now that they see online because people are trying to sell them things, and for them to sell certain things they have to paint it in a certain color, so it grabs their attention. So merchant cash advance might be one of those things for you. Maybe you’re doing your due diligence, so if that’s where you are, I just wanted to talk about the business opportunity itself through merchant cash advance sales training. So let’s listen in a more general sense. What makes a business a great business? Let’s identify what makes a business a great business because when you’re considering to start a business, you want a couple of things to work to your benefit, right? You can easily go to the side decide to start a brick-and-mortar business, but it’s not so easily done because it requires a lot of upfront capital. If you’re starting a franchise concept because you know they’re selling you the idea that it’s a proven concept, you’ll make money, and you’re using their brand, again there’s a lot of upfront investment as is required before you make any money. With merchant cash advance it is a little different, but what is merchant cash advance? The merchant cash advance is a type of alternative lending. You’re providing money to small businesses who otherwise cannot get a loan from their bank, through a traditional bank. The reason they cannot get a loan is not always because their situation is so dire that they’re just going to grab whatever they have before they take their last breath. It also has to do with the banking regulations, and what has changed since 2018 recession. Banks are super strict about their qualifications, so even the most qualified businesses might not be able to get a loan or even if they get it, it might be taking forever for them, but by the time they get it, it’s almost useless. Is merchant cash advance illegal? So merchant cash advance is not an illegal product. It’s not a scam, it’s not a multi-level marketing scheme either. With merchant cash advance you’re not selling things to your family or brother and sister, your friends. You don’t need to keep stock of inventory with you, buy products and put them in your garage or anything like that. It is truly a service that you provide to small businesses who are the right fit for those. 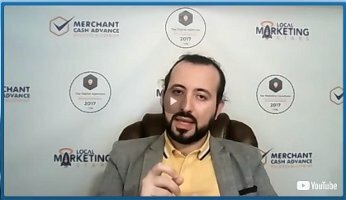 Can someone take a merchant cash advance business and make it illegal or use it for wrong purposes? Absolutely. Just like anything else, if you lie to the business owners about what they can qualify, the payback terms and the process, you’ve pretty much scamming those people, right? But the business itself is a great opportunity overall, and of course, the first reason is that there’s no upfront cost. It is a very low upfront investment, almost none and you don’t need a certification or licensing. If you know about financial services industry, most of the products that you want to sell require first for you to go through a licensing period and background check and all that stuff. This position doesn’t require that. And it is touched upon in the merchant cash advance sales training. The other great benefit is that it can be started and run part-time or full-time, and the other thing is a very high commission structure, commission percentage, so even a couple of deals a month would be enough usually for you to cover your existing salary and make more than that. So it’s pretty easy to ramp up. Another significant benefit is the sales cycle. So if you’ve been selling mortgages, for example, you know the sales cycle is demotivating, and you can put a lot of work forward and get nothing in return. So in this case, this is not what happens. The sales cycle is pretty short, and you can easily ramp up your business from 20 to 30 thousand dollars a month within a matter of 30 to 90 days. But one caveat is that there’s a lot of misinformation out there, and there are not many sources that you can get objective information. Usually, the information is from people who are in the merchant cash advance business themselves, and they want you to work for them. So the deals you submit needs to go through them and all that stuff, that’s why they’re painting this perfect picture. I’m here to tell you no business is perfect, right? But when you’re weighing options, these are the things that I look at, how much upfront investment I need to make? Do I need to commit 60 – 70 hours a week on the get-go for at least a couple years? What does the compensation structure look like? How do I really make my money on this? Do I need to sell things to my family, my friends, and all that embarrassing stuff? And what is the future of the industry? If this product is really in demand, are people searching and wanting this product; how easy is the sales cycle? Those are the things that are important to consider when you are thinking to start a business. Merchant cash advance can be done and started in different ways. One is you can become a broker, which 99% of the industry the people who own their business are brokers, which means that they’re not funding their own money to offer money to businesses. They’re working with a direct lender, just like a mortgage broker where they’re shopping around on behalf of the client trying to get the best rate for the best money and offer that to the client and make a commission. 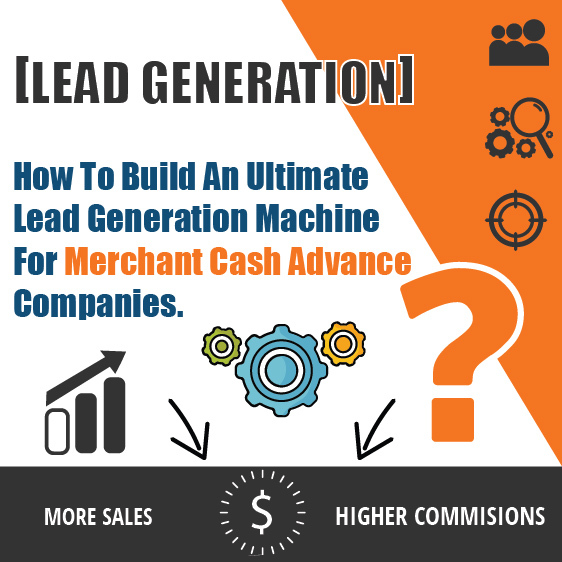 There are those who work in an affiliate environment, so these are not necessarily ISO or Individual Sales Organizations, but they are responsible for finding potential merchant cash advance leads and sending it to the lender. The lender is responsible for dealing with the lead, selling it, closing and qualifying, and funding it. If that deal is funded, you get a percentage of that deal. All of which is thoroughly explained in merchant cash advance sales training. So an affiliate program does not make you as much money as an ISO would make. As an ISO, your job is to qualify the lead, close the lead, be the middle person between the lender and the and the client and take your paperwork. When the deal gets funded, you get a good chunk of the commission. It can range from $2,000 to $5,000 per lead, so it’s handsome rewards. My preference would be that you started as an ISO, not as an affiliate. But if you’re an affiliate because you don’t have time, maybe you have a job, and this is going to be transitional, one mistake you can make is not knowing about the product that you’re selling. Business tends to pay you off for the value you put into the business. If you see this as a hobby on the side and do not want to know a lot about it, guess what, you’re not going to get paid a lot. But if you commit to running this, and you want to be the person who’s knowledgeable about the product, the sales process, what it is that you’re genuinely offering to your customers. If you wish to learn all of this, it is necessary to go through some kind of merchant cash advance sales training. Then it tends to pay you a lot of money, and you’d be surprised at how fast we can build it and scale it. Does this work for every person? Just like anything else, it does not. You gotta put your time into it. You got to commit to it. A commitment doesn’t mean that you quit your job and burn your bridges and start this immediately. I’m not talking about that kind of commitment. Another reason is this is a unique opportunity that you can start this as a part-time job, so you might have your obligations right now in your life, whether it’s another business or a job. You can do that and build this on the side, knowing that you’re taking this seriously enough. You’re committing to make this work. You’re committing to getting your information from the right sources or committing to take action and talk to business owners to make this happen. That’s where some people do fail because they think that business is going to run itself. You might have the best opportunity in front of you but if you do not take advantage of that opportunity, is best for some other person who will take advantage of that. So this is a relatively easy business once you get it up and running, but you have to start with a strong foundation. That doesn’t mean you need to spend thousands of dollars to build your online presence or build your website or anything like that. But it means that understand deal flow, what the business is about, what are the best ways to close clients, know what the client wants, how to position this because there’s a massive demand for merchant cash advance and this is an unmet demand. Because there are two types of demands, there’s demand for a product but the market is saturated, there are more players in the market than the demand. The second one is there is demand, but there are not enough players in the market. So this is the second one with merchant cash advance, although many people are starting, they don’t have any foundation. 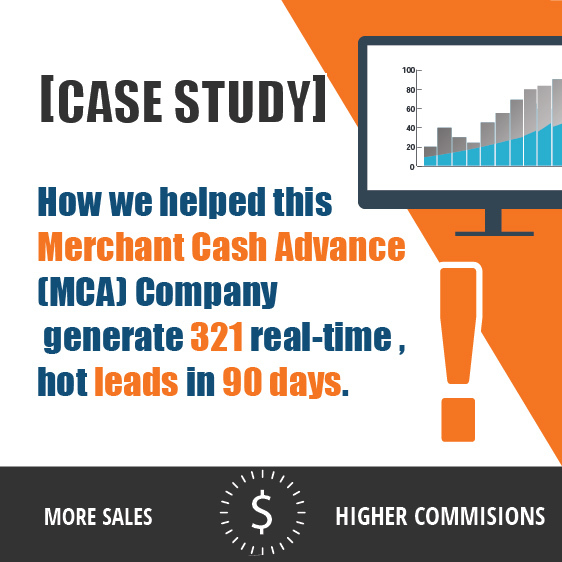 They think that business is going to bring money to them, but those who take this seriously, fairly easy to make money with merchant cash advance. As I mentioned in the beginning, I wanted to talk about the elephant in the room before we go into other areas. If you followed me, you probably have seen very detailed videos of me about lead generation closing sales, how to scale your business, because I’m the owner of a marketing agency that does marketing for merchant cash advance businesses. But if you’re watching this, you’re more likely not in the place of a hiring an agency and have them do marketing for you, because you might not have enough budget. Even if we generate leads for you, you’re not going able to close them properly because you don’t have a sales system. That’s why I wanted to create this video for those of you who are either looking for a business opportunity where they can work from home, or an opportunity where they can leverage their time much better. A business opportunity that you don’t have to invest a lot of capital in, and you came across merchant cash advance sales training or alternative lending. You’re trying to weigh your options to see if this is a real deal or this is not a real deal. So that was my intention with this video. I hope this answers some of the questions for those of you out there. If you haven’t done so, click on the subscribe button on YouTube so you can be notified when a new video of me comes up. 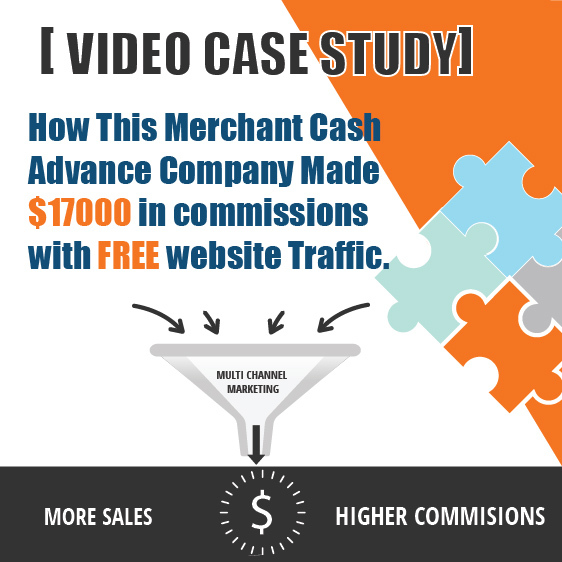 The other free resource that I have is you’re going to see a link at the bottom of this video for one-hour merchant cash advance sales training, the pitfalls, the mistakes people make, and the recipe for success. I suggest you check out that link. It’s called merchant cash advance blueprint, or drop a comment below and check that out. It’s going to provide you a lot of information about this industry. It’s going to save a lot of time from the research that you’re doing online right now. Those are the resources. Don’t forget to subscribe and check out the link below, and if you have any questions or comments, get in touch. Talk to you later, all right.